My major issue with the Mamba (once the other issues were sorted out) was the price. $130 MSRP was just too much to give it a solid “buy” rating. But for a limited time, you can get one for $55 off the cover price, which makes it a much better deal. What you need to do (and thanks to Dealnews for hooking this one up) is go over to ZipZoomFly and put one in your cart. Then apply the coupon code “ZZF82197” to get $10 off, and then when you get it in the mail, send in that rebate for another $15. Boom, $85 Mamba. It’s a beautiful thing. 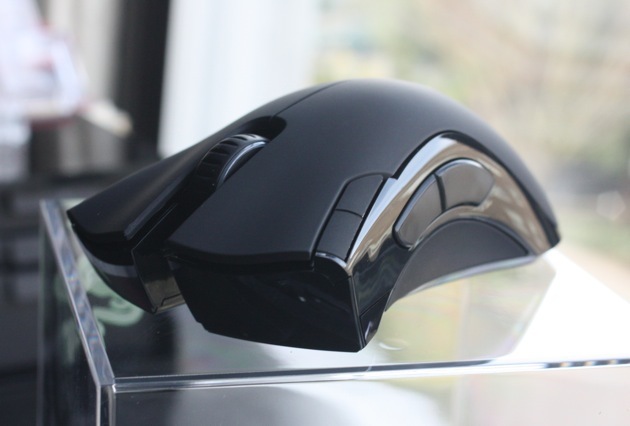 Although I’ve been liking this Logitech G500 I’m reviewing, and it’s even cheaper… well, wait for the review.